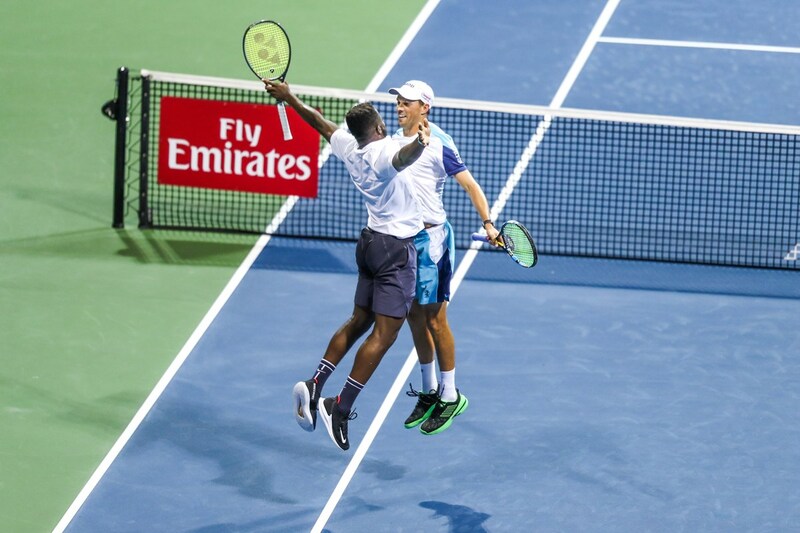 ATLANTA, July 24, 2018 – With one match suspended from Monday and another cancelled, Tuesday proved to be even a bigger day of tennis for the BB&T Atlanta Open in Midtown. Great singles matches started the day. Tournament No. 7 seed, Jeremy Chardy of France faced Ricardas Berankis from Lithuania. Great effort from both players, which made for a competitive match. Chardy’s serve and consistency were a little too much and he will move on to the next round 6-4, 6-3. At the age of 31, Chardy is still one of the most dangerous players on the ATP World Tour. He came out, executed a plan and used his years of experience to his advantage. He had perfect placement and timing on when to push for the point. Even though Berankis played more aggressively in the second set and moved to the net. Chardy was too much and someone to watch in Atlanta. Atlanta’s Donald Young concluded his Monday night match with Ivo Karlovic by outlasting the 6’11” veteran in a third set tiebreaker. In a match with wild swings and missed opportunities, Young was happy to be the last man standing. Tuesday is “College Night” at the BB&T Atlanta Open, which means a player from a college in the state of Georgia gets to face off against an ATP World Tour professional. This is the year where it’s the University of Georgia’s turn and the wildcard went to rising senior, Emil Reinberg. Reinberg is an Atlanta native and oed of the top players on the Bulldog tennis squad. Reinberg’s opponent was Mikhail Youzhny of Russia. Youzhny is a ATP World Tour veteran and a former top-10 player. Even though Reinberg fell in straight sets, 6-2, 6-0, he held his head high in defeat. The Russian played a clean and concise match and capitalized on multiple breakpoint opportunities. Reinberg lost a ten minute game on his serve in the second set, at 0-1, which caused a momentum shift and lead Youzhny to victory. There are six schools in the area that partner with Sandy Springs Tennis. Fifteen students from their program got the opportunity to come to the BB&T Open and play mini tennis with professional tennis player, Alex De Minaur who won his first round at the BB&T. The fifteen students also get to watch a match after their time on the mini tennis court. Main draw singles and doubles play continues Wednesday!